A little coolish out but the sun is shining! 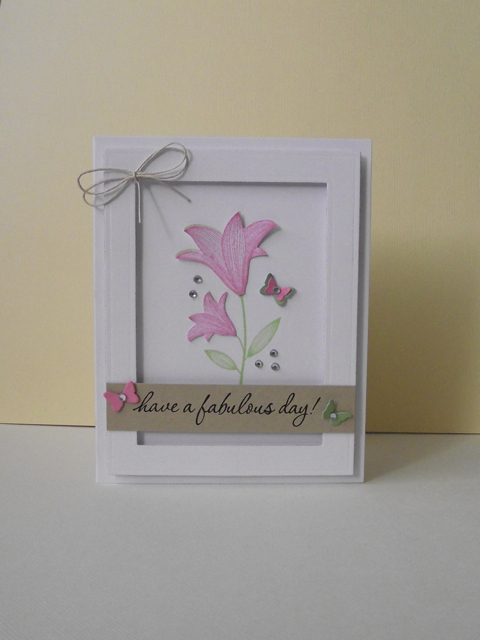 The colour inspiration for this card came from that. I love this etched flower from Hero Arts. I used the new A4 dies from spellbinder for the frame. HA Snow layering paperers and notecard. Love the dimensional frame around that gorgeous flower!! This is gorgeous - it has so much dimension and that little twine bow in the corner - perfection!